Hello, so how are you doing with meeting the 30 day color challenge? 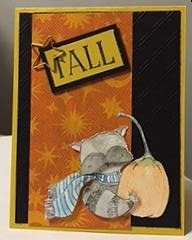 I have to admit I am not doing so great except for our Thursday stamping nights. I wish I could say I have been spending my time on other interesting projects but no luck there either. My time has been spent reducing clutter and reorganizing the stamp room. So why does the work in progress look worse? Sigh. At least I have some cards to show you. 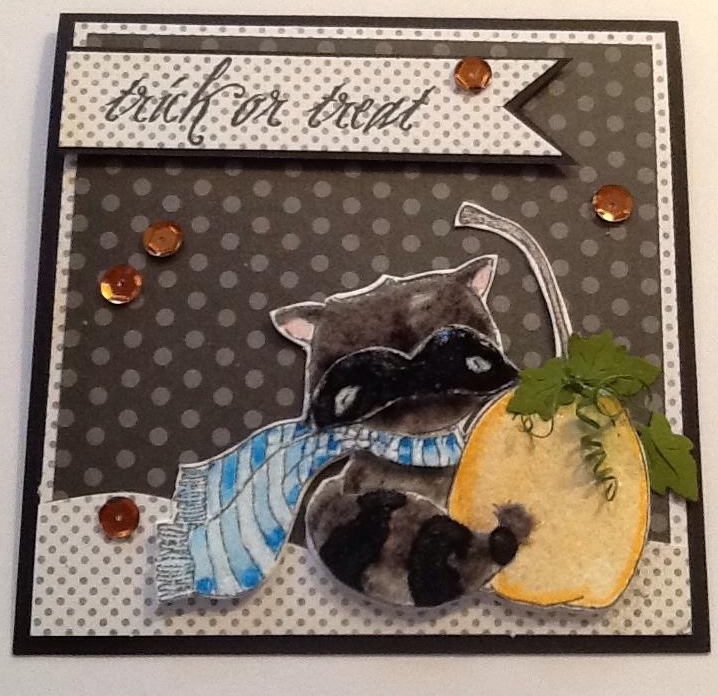 These are the raccoon cards made by the other Cardologists as promised in the last post. 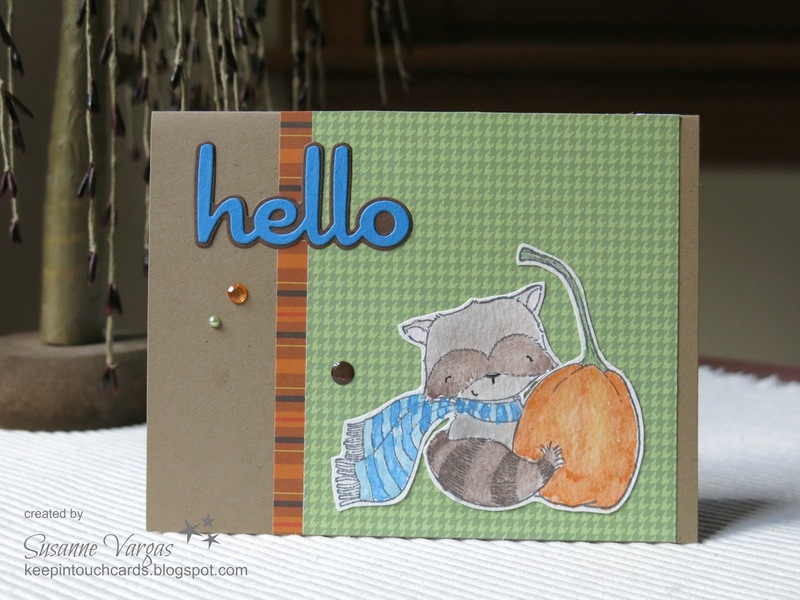 The first two were made by Melba and Bob using the same layout and great fall colors. 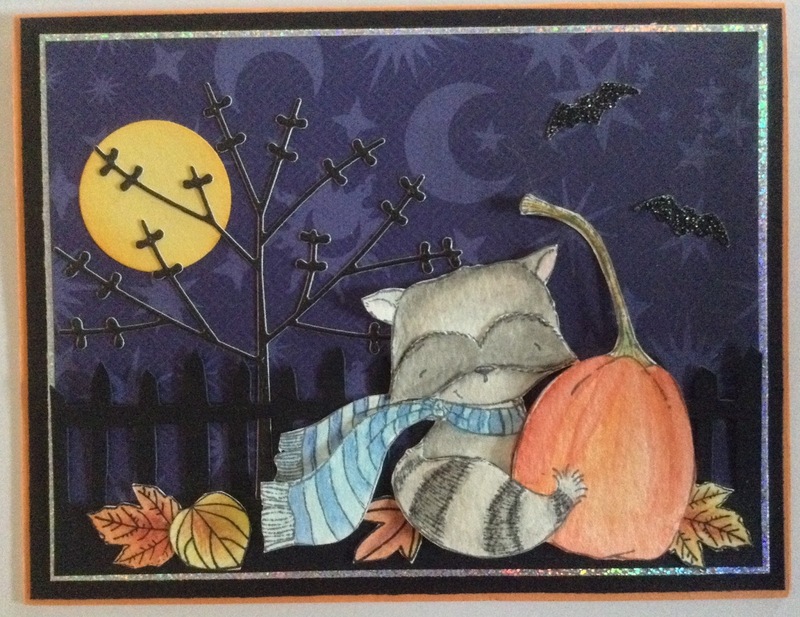 Melba went with the name of the raccoon "Ginger" and made brown stripes on her raccoon. 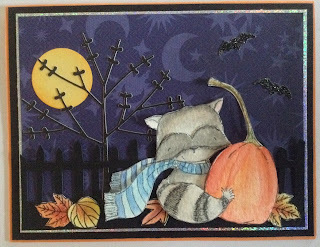 Bob's black backgroundand star embellishment make it look like night in the pumpkin patch. Then we have Jules' card. I love how she grounded the racoon with the fence and the leaves. You will recognize Susanne from her blog, Keep in Touch. She has a country look to her card and a bold hello. 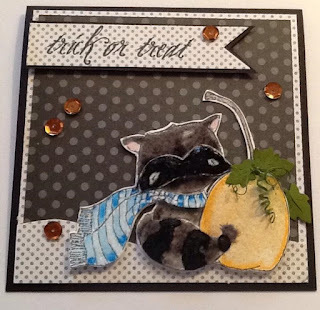 The final card is by Lola. 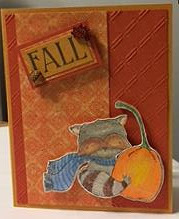 Don't you just love the way she colored her raccoon so it looks like fur and the punched leaves she added to the pumpkin? So cool to see them all together!